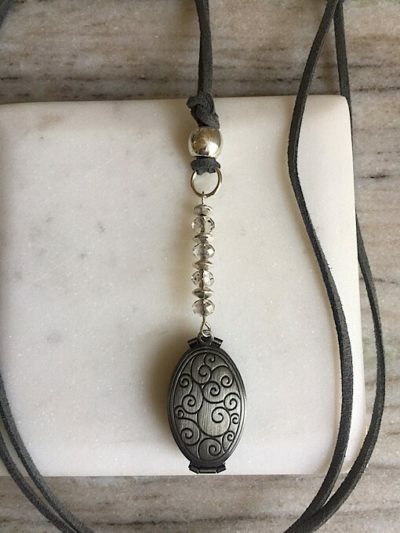 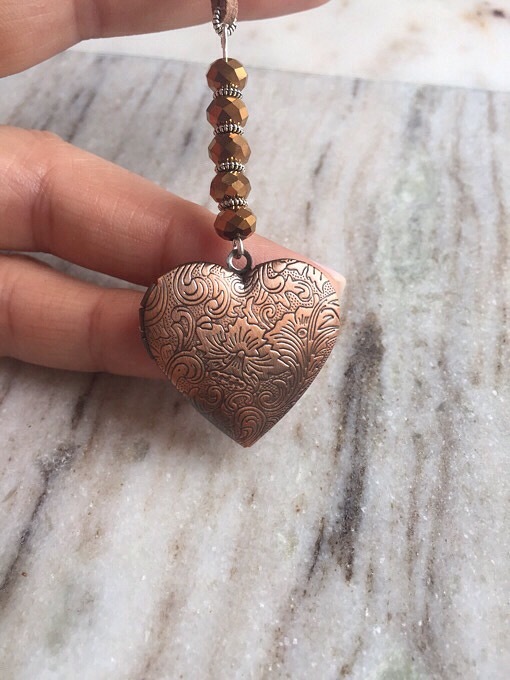 This necklace makes a lovely keepsake gift. 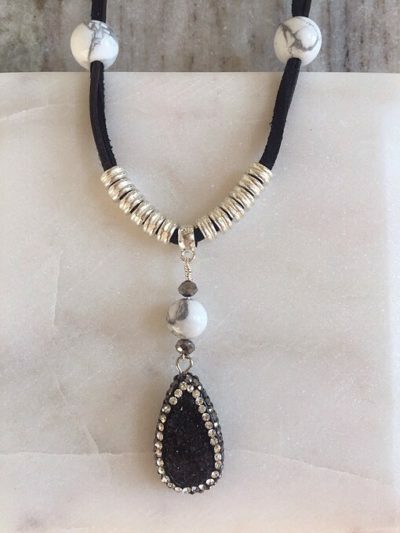 It is perfect for an anniversary, birthday or just because! 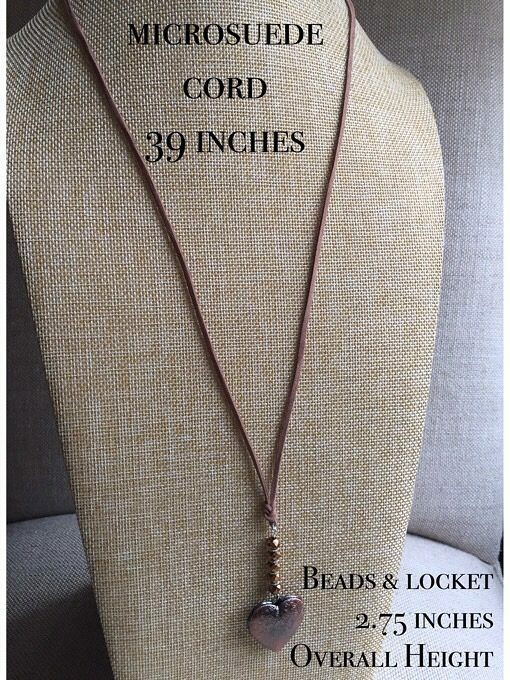 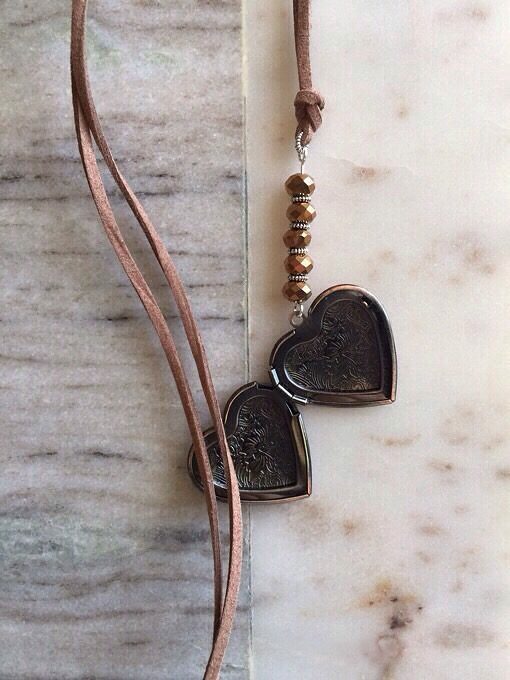 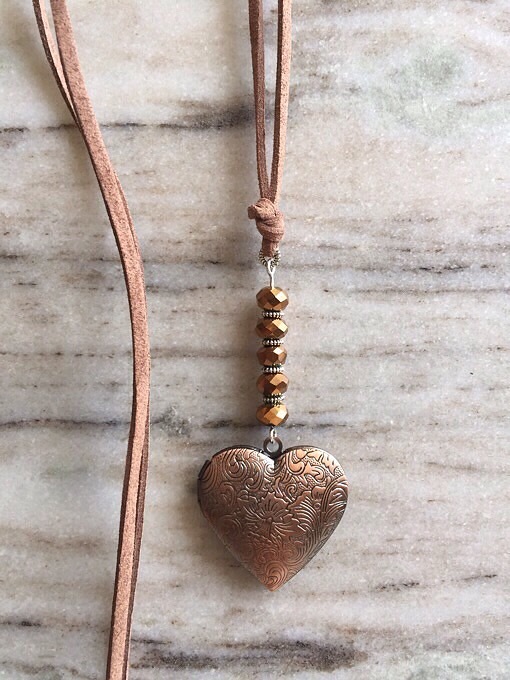 Designed with bright copper crystals, mocha brown microsuede and a feminine heart locket. 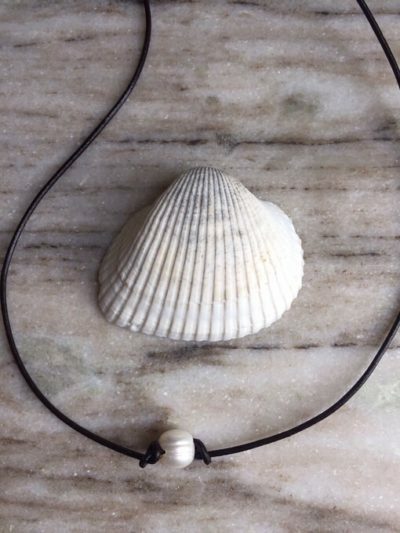 The design dimensions are included within the photography.